NOW RENTING!!! CALL OR EMAIL FOR MULTI-DAY RATES! The MYT Works Large Slider is a professional-grade camera slider capable of holding up to 150 pounds. 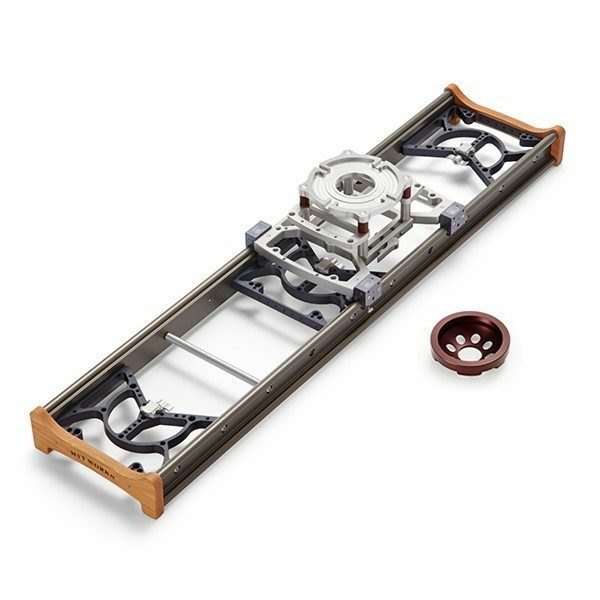 The unique rolling-sliding bearing design provides smooth and reliable movement in an overall lightweight frame. This slider may be mounted to tripods, stands or dollies using the threaded mounting holes in the frame and provided accessories.